The Grand Garden Oblelisk will add height, dimension and a focal point to your borders. This garden obelisk is ideal for training climbing plants it is also an imposing attractive feature in itself. 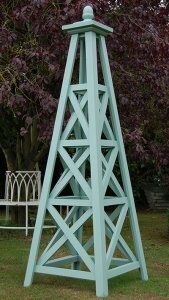 The Grand Obelisk is manufactured in our workshops from Scandinavian red pine, finished with clear or golden brown presevative or white garden paint/preservative. 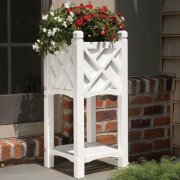 With so many styles of garden obelisks to choose from, how do you decide? 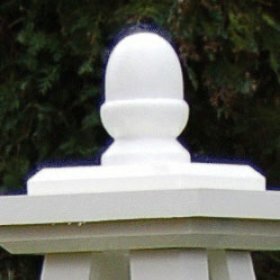 Garden obelisks should be chosen for their looks and durability. If you want to grow a wisteria vine on a trellis, make sure you select a material known for its longevity and durability, like cedar, oak and red pine. growing by my front door � what a way to come home every night! So, if you’re short on space or just looking to raise your garden or planters to a new level, garden obelisks can create more interest in your gardening spaces.